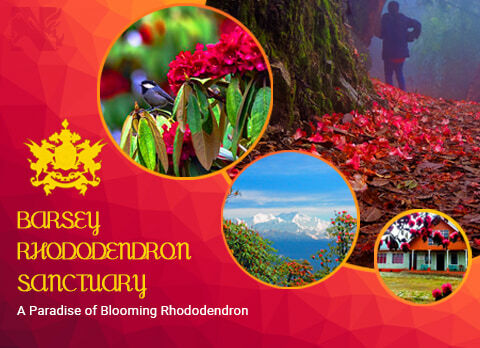 Perched at an elevation of 5800ft in the southern district of Sikkim overlooking the snow-capped mountains like Mt Rathong, Mt Pandim, Mt Kabrue and Mt Sinochu is a picturesquely blessed village called Borong which has become the paradise for nature lover. 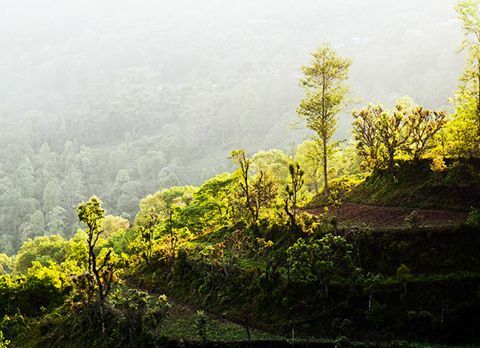 Located 17km from Ravangla amidst the lofty mountains of Himalaya tourist can soak in the warmth of true Sikkimese hospitality while visiting the picturesque hamlet Borong. Ravangla is the starting point for the trek towards the Maenam Wildlife Sanctuary, the treasure house for medicinal plants. 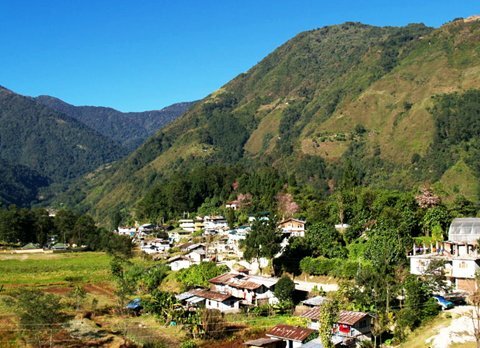 Borong is slowly gaining its fame among the travelers due to its unique location and serene ambiance in South Sikkim. 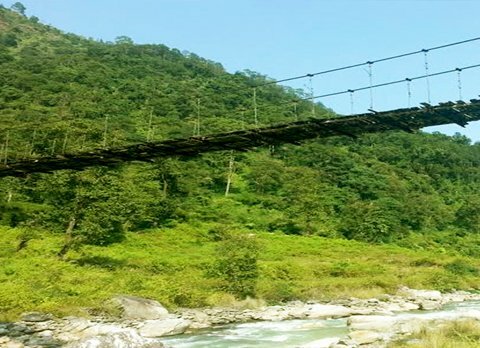 Blessed with green lush Rolling Meadows, lofty mountainous valley and awe-inspiring view of snow capped mountains Borong has ensnared the heart of tourist traveling to South Sikkim. 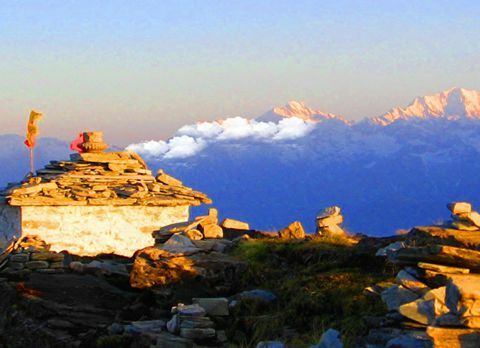 The unique location of Borong amidst the Himalayan Range is dotted with several interesting trekking routes which have enthralled many adventurer and trekkers traveling in Sikkim. Borong acts as base for many trekkers’ and the one of the famous trek which most them partake in is towards the Maenam peak, the surreal sunrise over the snowcapped mountains from the hilltop of Maenam has left many trekkers dumbstruck .The journey towards Borong is a treats for the eyes, traveling on the spiraling road through the alpine forest with backdrop view of Himalayan range before reaching the scenically blessed hamlet Borong can be an unforgettable experience which can be a moment to be cherished life time. Borong is also known for its hot springs called Borong Tsachu located on the bank of river Rangeet, 3kkm from Borong which is said to have medicinal properties. The lush alpine forest surrounding Borong is home to several species of birds such as scarlet minivet, black magpie and Himalayan pheasants making Borong a birding paradise for avid bird watchers. 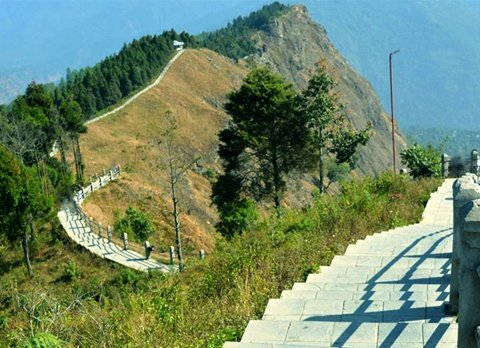 Apart from being showered with pictorial views and astounding trekking route Borong also have few tourist interest points which are of religious significance like Ralang Monastery. 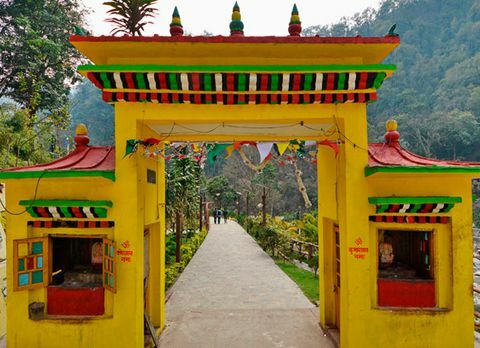 Ralang Monastery is a Buddhist monastery of Kagyu sect of Tibetan Buddhism in southern Sikkim. It has an extensive collection of paintings and thangkas and is host to an annual festival, known as Pang Lhabsol when Mount Kanchenjunga is worshipped usually in September and ending in early December with the Kagyed. The tranquil ambiance of Ralang monastery fills the visitors’ soul with a sense of calmness while they observe and learn about the Buddhist culture through the thangkas and paintings displayed in Ralang monastery. 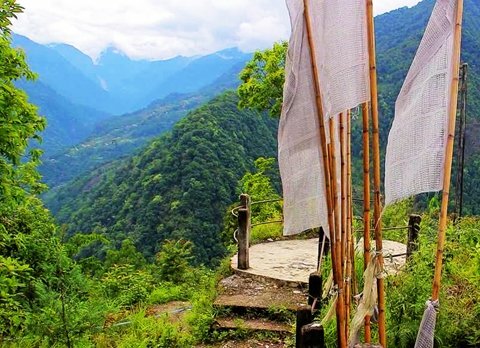 From the medicinal hot spring to sunrise over the majestic Himalaya, Borong has with its surreal beauty has become a must visit destination for the tourist who wants to see nature in its pristine form while traveling to Sikkim. 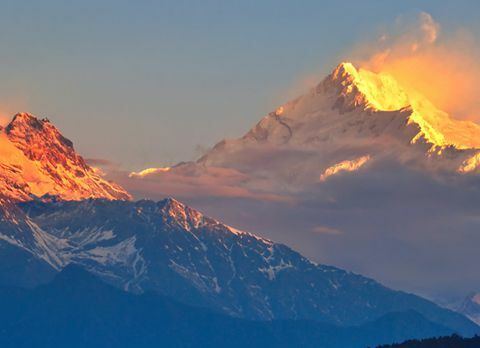 Inflate your lungs with the cool untainted mountain air, while being plunged in a serene ambiance with the panoramic view of the snow capped Himalayan range which is only broken with the chirping of exquisite Himalayan birds, at Borong in the southern Sikkim you can experience it all. 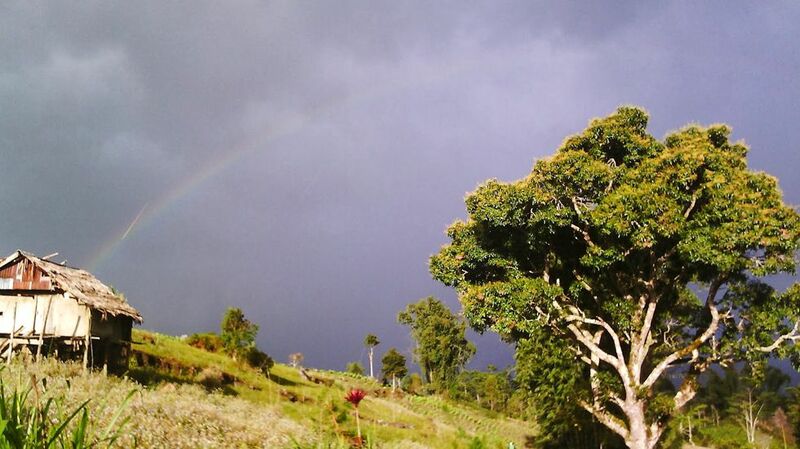 A sojourn amidst the nature far from the bustling city life for the people who wants to rejuvenate their tired soul in nurturing lap of Mother Nature, Borong with its heart swelling warm hospitality and awe-inspiring natural beauty has become the safe haven for those tourists. 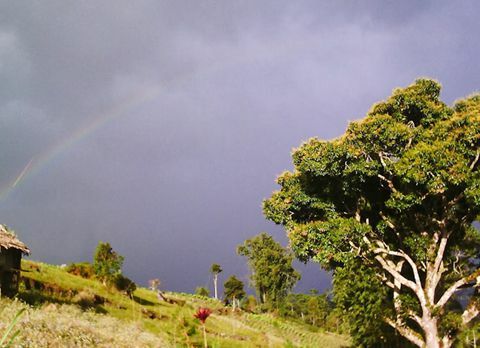 Every season has its own charisma in Borong and there is no special time to relish the serene beauty of Borong but if travelers want to witness the festival taking place by the bank of Rangeet River, then they should visit Borong during February.